One skin and makeup look that will never go out of fashion is the “natural” look. What it says is “Me... But Better”. So, no dramatic contouring or bold, neon colours. Just an effortless glow with shadows and highlights in the most flattering shades and shapes. The best asset you can have for achieving a perfect natural look is great skin. That means clear, even tone without swelling, heavy lines, dark circles or acne. The two key ingredients to look out for in their most potent form are Vitamin C and Vitamin A. Both are powerful antioxidants with the ability to renew skin cells and boost the “plumpness” of skin over time. A 2002 study published in Dermatalogic Surgery proved that vitamin C applied directly to the skin significantly improves the appearance of skin after environmental and sun-damage. It was shown to boost collagen levels, hydration and reduced appearance of wrinkles. I recently had Laser Genesis at Natural Look Medical Aesthetics (as you know, because you read my blog every day) which leaves the skin renewed but also sensitive. Megan, my awesome laser therapist, recommended vitamin C as the best ingredient for maintaining the skin-renewing effects and speeding up healing/redness. Direct Delivery Vitamin C Serum is a gel that applies easily and weightlessly. Danne Montague-King products are developed in the lab by dermatological wizards so don’t expect to see them at the chemist. Your best bet is to buy direct from a clinic. Locate one here! Alpha-H is currently 25% off Alpha-H orders with code AH25 at Skincare Store (free delivery too) so if you needed an extra reason to entrust your precious face to a high-end skincare range, this is it. Their Vital C with Grape Seed gives instant glow. I have been using it at night which seems like such a shame because I look dewier, more radiant and years younger. You’ll just have to trust me on it! Now that you’ve mastered the skincare, here’s the makeup must haves to make sure you play up your amazing skin. Try to go for shades that are not too far off your natural skin tones. Any colours with a beige, honey, tan, yellow-pink base are going to suit. Diorskin Star Foundation has licorice extract and doesn’t make me break out while giving great coverage. Worth the extra dollars for everyday use! 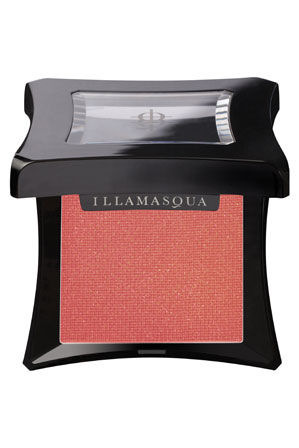 Illamasqua Nymph is coral-hued and so flattering on pale and olive skin tones. Not half as bright as it appears – a light sweep picks up your cheekbones and brightens your eyes. Apply with a big domed brush – I love ecoTools Domed Bronzer ($17.95 @ The Beauty Office) made of bamboo and recycled materials. It comes with a little pouch for easy handbag storage. I also have real Techniques retractable bronzer brush ($24.95 @ The Beauty Office) that has a heavier handle and a nice “feel” to it! Gives great coverage too.